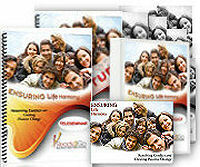 Audio Training Program: Ensuring Life Harmony - Resolving Conflict and Creating Positive Change from Ready2Go Marketing Solutions, Inc.
How to get along with practically everyone you meet, negotiate workable agreements in all circumstances, and conduct yourself calmly and peacefully when chaos is ensuing around you. Some people may "seem" to have been born with the "gift of getting along" and the instinctive ability for negotiating agreements, but that's not really the case at all. In reality, these wondrous "people skills" are a learned craft, a practice of principals, and a meticulously applied science. In fact, there are some very simple and easy to follow principals at work in all of these circumstances. 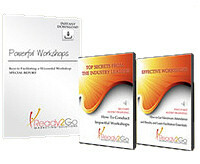 After listening to all 6 parts of the audio training program, your clients and prospects will have a valuable tool-kit at their disposal that will allow them to head off a conflict before it erupts, turn an emotionally charged situation to a mutually beneficial one, negotiate win-win agreements, and improve overall relationships at home, work and play. The audios are only 4-6 minutes long, so they don’t take a large time commitment, but they will improve your clients and prospects' over-all experiences of dealing with others at home at work and in their day to day dealings. 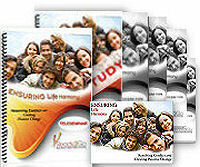 How to achieve a greater sense of over-all peace, satisfaction, confidence and self-integrity. Skills for getting along significantly better with fellow co-workers and management on the job. Tips to deepening one's level of “connection” with friends, family and even total strangers. Increased business profits through upgraded relationships with customers, clients & associates. How to create a clear, calm and centered consciousness, free of chaos, conflict & confusion. Audio #1. The 6 Steps for Resolving Confrontation. Audio #2. 8 Tips to Turn Down a Heated Situation. Audio #3. How to Create Team Cohesiveness. Audio #4. What You are Saying and Not Saying Says a Lot. Audio #5. The 5 Styles of Conflict Management. Audio #6. How to Handle a Difficult Conversation Delicately.